Happy St Stephen’s Day! Actually, I imagine most of you will be reading this in a couple of day’s time when you need a break from your Christmas present books or stumbling here in a couple of months when you are looking for a suitable recipe for ballast-food. I spent Christmas day with friends this year, a delightful experience, with just a few pangs for family rituals. I brought a contribution to the main course, offered to make custard and in a flurry of last-minute organisation, volunteered to cook clootie dumpling which several of us had missed the opportunity to have when on holiday in Scotland in the summer. 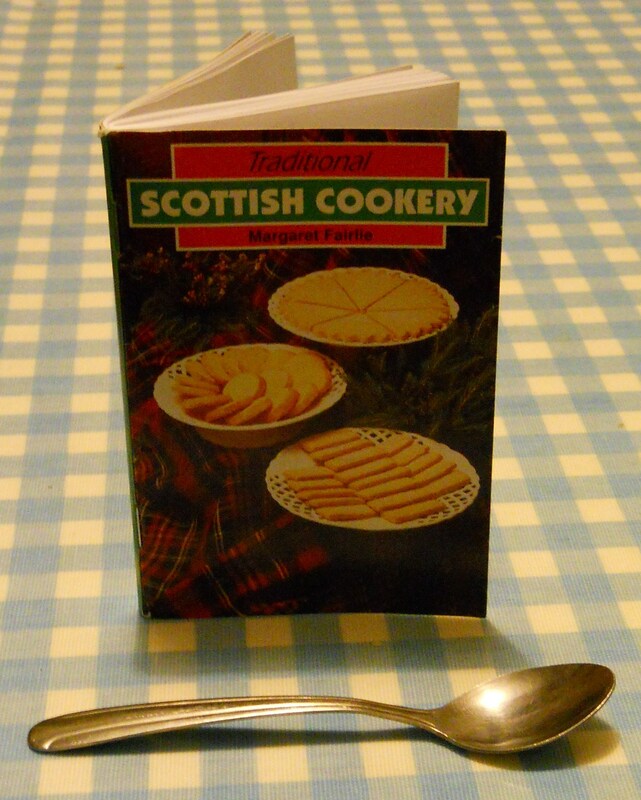 On that trip, I had bought Traditional Scotttish Cookery by Margaret Fairlie, first published in 1972 by Hale Books, in Inverness Museum. I’ve tried to find out more about Ms Fairlie, but the internet is only giving me information on the identically named eminent gynaecologist and first woman to hold a professorial chair in Scotland. So if you know any more about Margaret Fairlie, cookbook writer, do comment and let me know.